Fresh2U offers this convenient service to encourage you to slow down and enjoy the marvels that nature creates delivered right to your door. Eating organic is a conscious choice we can make to create a connection between the earth and ourselves that is sustaining. Once you start eating fresh organic produce going back is not an option it simply tastes better and makes you feel ALIVE! Organic farming is a sustainable system of food production that maintains and replenishes the fertility of the soil & perceives the environment holistically, respecting all its elements. Our farmers understand that the life of the soil is integral to the health of their plants. They feed the soil by making & using compost and applying natural fertilisers such as rock sulphate, gypsum and seaweed. They ensure the integrity of the soil is kept by practising crop rotation, selective planting and resting the soil between crops. Compared to modern farming, which relies on chemicals to artificially spur on growth for faster turnover and yield, organic produce is allowed to develop to its full potential. The result is a complex matrix of concentrated sugars and resulting flavour that just doesn’t compare. There is a higher nutrient density in organic food that only nature can produce when given time to create. Plus there is no chemical residue in the produce to disrupt your bodies systems or cause illness due to toxin build up. In order to support local growers as much as possible we do not require certification but that they grow to certified standards. Most of our local growers are certified & we visit all of our local suppliers on a regular basis, talking with them about their farming practices & seeing it for ourselves. All produce sourced from outside the Nelson/Tasman region which we cannot check ourselves must carry a national certification such as BIO-GRO, OFNZ or Demeter. Each season we email a newsletter to our customers with news from the garden, handy info, storing tips and delicious recipes. To see our newsletter archive click here. 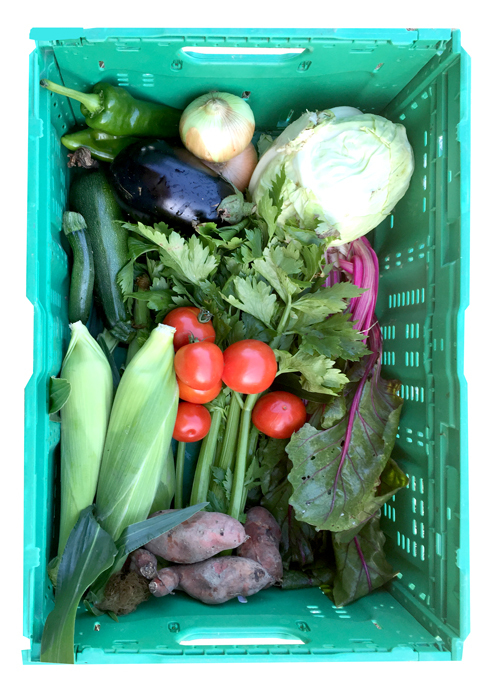 To see photos of our seasonal boxes click here.